60th Anniversary Edition. John Nosler - Going Ballistic, with over 150 photos and practical wisdom on every page, will give you insight into the mind of the world’s foremost bullet designer and the confidence to hunt big game anywhere. 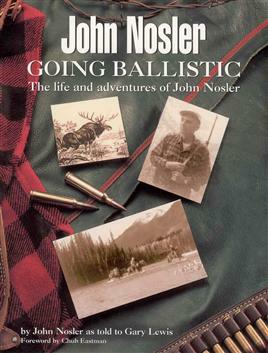 John Nosler - Going Ballistic – The life and adventures of John Nosler is the tale of a hunter, innovator and self-taught ballistics engineer. Born in California, he came of age in the Great Depression and raced his home-built cars on the dirt tracks of Huntington Beach and Pomona. 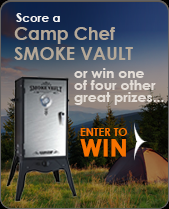 From California, he moved to Oregon and embarked on his legendary big game hunting career. He first hunted moose in Canada in the 1940s and recognized the need for a projectile that would stand up to the velocity generated by the new magnum rifle cartridges. Back home, he developed a bullet that married the qualities of penetration and expansion – the Nosler Partition. John Nosler - Going Ballistic, with over 150 photos and practical wisdom on every page, will give you insight into the mind of the world’s foremost bullet designer and the confidence to hunt big game anywhere.